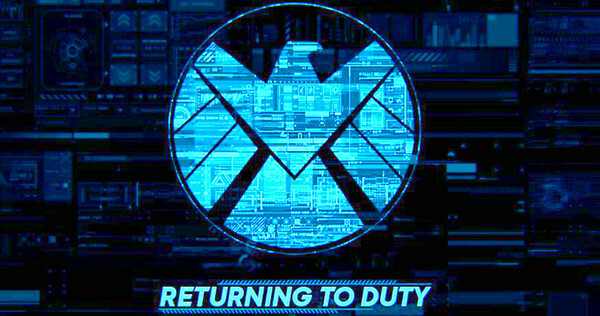 Following an action-packed season that was even more emotional than ever, all our favourite agents of S.H.I.E.L.D. are left to pick up the pieces and carry on fighting the fight, whatever side that may be on. At San Diego Comic Con, we sat down with some cast members to get some sneaky tidbits on just what's to come for their characters in season 3. Grant Ward may appear to many as being past the point of no return, having been shown to be taking hold of the Hydra reins and planning to build it back up so as to fight and destroy S.H.I.E.L.D., but actor Brett Dalton is insistent that Ward is not a villain, but an anti-hero. He remained tight-lipped about the possibility of having his own band of Inhumans to fight alongside him but it seemed as if he wouldn't rule it out, nor would he object to such an exciting arc to play. When we last saw Melinda May, she was taking a break from her work in the field so as to reconcile with her ex-husband Andrew, whom Ming-Na Wen calls the "love of [May's] life." But as much as May is a soldier, there is a part of her questioning what to do next. Though Ming-Na Wen is insistent that Hydra is bad, Brett Dalton takes this as an opportunity to joke around and undermine this sentiment. Dalton also jokes around about a possible uniform for Ward consisting of leather and two eye-patches. Clark Gregg was incredibly excited about the Secret Warriors plot to be incorporated into the upcoming season. 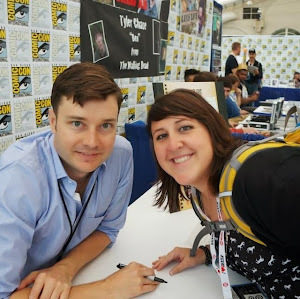 He is more so familiar with how the story was done in the comics but less so about how it will be presented in the show since they had yet to receive their first script. 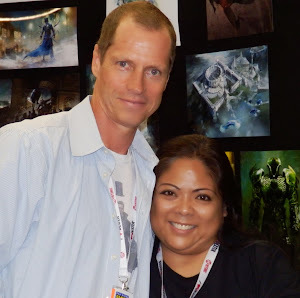 But he and Chloe Bennet spoke about the father/daughter dynamic of Coulson and Skye. They both agreed that Coulson didn't always look after Skye as well as he could have but now she will be more important to him after the loss of his limb. Chloe doesn't feel pressure about the Inhumans plot being used years before it will be presented in the films, as she has tremendous faith in the producers of the show and knows that Marvel is very hands-on with the show as well. What Chloe is nervous about is playing a more seasoned Skye but is also very excited to play it as well. Henry Simmons says that Mack is doing a horrible job with his responsibilities, given the fact that Simmons has been stalled up and Coulson is now without a hand but since he isn't all that active on social media, he hasn't felt too much fan upset. Luke Mitchell wasn't entirely familiar with the Inhumans mythology when he joined the show, but really wanted to fit in well with the group dynamics which have been so strong since the show began. Mitchell says Lincoln won't know quite where he fits in at the beginning of season 3, but this will likely be the first main thing he will play out in season 3. Henry Simmons also cracks a joke about Mack being horrible for "violating" Lola. Elizabeth Henstridge speaks on the trauma Simmons has faced but notes that perhaps the insensitivity she exhibited towards Fitz means that it is plausible to call Simmons' fate in season 2 being karmic retribution. But both Henstridge and Iain De Caestecker look forward to hopefully being able to play more scenes together since they spent more time apart in season 2 than in season 1. De Caestecker thinks that a big part of Fitz's story will surround finding Simmons and what happened to her, but also jokes about a possible romance with Mack before speaking more seriously on why Fitz and Mack connected. Since Mack didn't know Fitz before, he took Fitz's behaviour at face value. In addressing questions about the Inhumans story, Henstridge speaks highly of Chloe Bennet's acting and says that she will do a brilliant job with the stories she is given. New-comers/love-birds Hunter and Bobbi were played by Nick Blood and Adrianne Palicki, who right away joked about how Bobbi will be dating around as they have agreed that they will be having an open relationship. But in moving past the jokes, they speak on the more serious possibility of exploring the back stories of these characters. Given the viewer reaction to Hunter and Bobbi, they think it's quite likely that the writers will give more insight into just how these characters came to be who they are. Nick Blood thinks that Coulson and Hunter a begrudging respect for each other, particularly given the grit of the fights they've to go through in season 2. 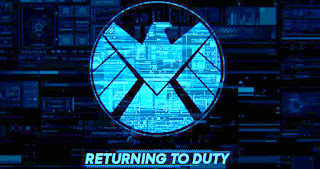 Season 3 of Marvel's Agents of S.H.I.E.L.D. will premiere on September 29 on ABC at 9PM.